Enjoy a nice bike ride through Delft and the landscape of Midden Delftland We can advise you to take a look at the Vermeer Center. Enjoy a nice bike ride through Delft and the landscape of Midden Delftland We can advise you to take a look at the Vermeer Center. 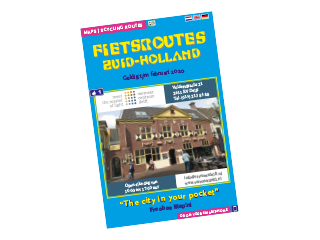 You start in Delft at the Koepoortplaats. You can cycle into the old center of Delft with its old canals, monumental buildings and characteristic atmosphere. You will visit the fourteenth century Nieuwe Kerk with the tomb of William of Orange, a well-known attraction. Just like the Nieuwe Steen from 1620, the town hall that was built around the Oude Steen, a tower that is the oldest building in Delft. Every week here is the Antique and Curio market. This part of South Holland still has a green heart in the middle of the Delft country.